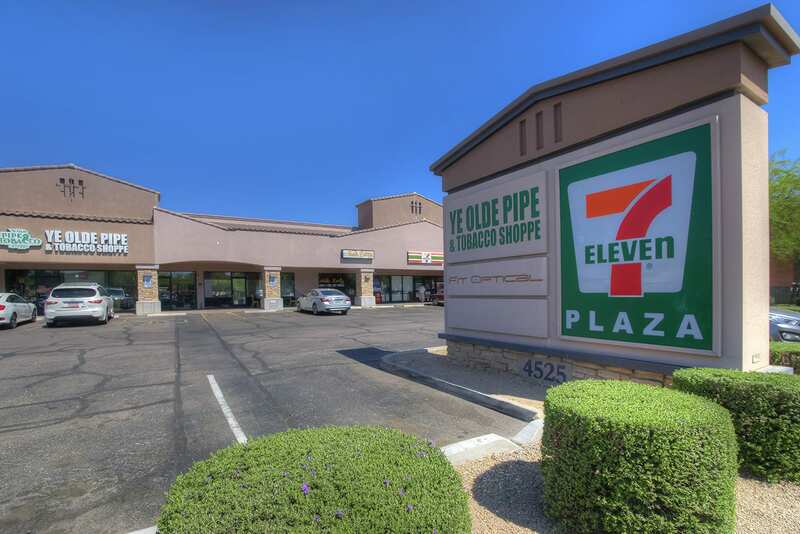 A small shopping center in the Biltmore area of Phoenix with a 7-Eleven convenience store sold for $4.05 million in September. The four-tenant retail center – named Campbell Shops at 24th on 24th Street just north of Campbell Avenue – was completely leased when it sold. The tenants include 7-Eleven, Ye Old Pipe & Tobacco, Fit Optical and Noble Eatery. Campbell Shops at 24th was purchased by KCS Arizona LLC, which is owned by Inju Chung, a certified public accountant with offices in Tempe. Chung purchased it from Santa Fe Arms LLC, a group from Yuma that purchased the center in 2014. Ari Spiro and Sean Stutzman of Orion Investment Real Estate represented the seller in the deal and Larry Kush of Orion and Sunhee Lee of Cambridge Properties represented the buyer. The shopping center sold for $466 per square foot, which is on the higher end of retail real estate transactions in the Phoenix area. Besides being near an expanding business hub, the center also is in the vicinity of a number of recently opened apartment complexes and others under construction. “With over 2,500 apartment units recently constructed in the trade area, and another couple of thousand planned or under construction, this solid infill location is becomming even more ‘infill,'” Spiro said in a press release.